If you like these companies and choose to purchase anything from the affiliate links I sincerely appreciate it, as it helps keeps Sewing Blue running. Thank you! First off, Patterns for Pirates. So far I have made their Jolly Roger Raglan, Yo Ho Henley, Walk the Plank PJ Bottoms, and Cptn. Comfort Pants. I’m always very impressed at how easy the pattern pieces are to put together and how clear the instructions are. Each fit on my boys has been perfect (though of course that’s something that can change depending on body type). They have tons of patterns for boys, and have grown to include girls, women, and men as well. I’ve got a couple of their women’s patterns on queue to make sometime. In addition, there’s a great Facebook group to ask questions about the patterns. Aurora Design prints visually delicious fabrics on nearly every type of fabric imaginable. There’s a wide variety of solids and prints available, appropriate for both boys and girls. Though it takes more time, their pre-orders are something worth staying on top of, because the costs are cheaper and you get a better selection before the extra-awesome prints sell out. They also offer custom printing, so really the sky’s the limit here! The patterns at Peek-a-boo Pattern Shop literally make my mouth salivate (I’ve got problems if I keep relating fabric and patterns to food!). They have a large selection of patterns for both genders and all ages, in addition to maternity, dolls, and other crafts. All are highly rated. I included a couple of their patterns in my roundup of pajama patterns for boys. If patterns aren’t enough, Peek-a-boo also sells fabric and provides sewing tips. The owner, Amy, went to the same college as me as well, so I love them even more! I don’t even know if I need to introduce this one. 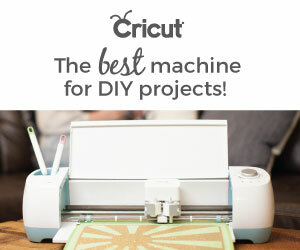 Everyone knows Cricut, right? To tell you the truth, as of right now I have only used it a few times through a friend. But I am dying to make more designs for t-shirts, bags, etc. and I know their machines are perfect for speeding up cutting and getting the perfect cut every time. I spent over an hour the other night manually cutting out logos for super hero capes (post pending) when this could have been done in a few minutes. So… dun dun dun… I finally ordered a Cricut Explore Air 2! So plan on seeing more cut files in the future and lots of fun with this fancy machine. Sew a Little Seam carries cute patterns for both boys and girls, and a few available for women as well. Some patterns are available for free – if your child happens to fit the same size that she made, this is an excellent option. All patterns are highly rated and are just rolling in cuteness. I’ve featured a couple in this pajama round-up. Her instructions are clear, her children are adorable, and there’s absolutely everything to love and nothing to lose by choosing her patterns. If you want to learn how to do just about anything, Craftsy is your answer! The variety of classes offered is phenomenal. You can learn how to do anything from speeding up your sewing game to learning photoshop to making pasta from scratch. If you want to just take one class you can pay for it individually, or try out a subscription with access to learn all the things. If you aren’t in the mood for up-ing your skills, they also have a large selection of sewing supplies and fabrics you can purchase. Last of all, we have Ellie & Mac patterns. She offers patterns for boys, girls, women, men, dolls, crafts… you name it! This month is a special month with Ellie & Mac, as a blog tour is going on to promote their patterns (I’ll be on the 28th – watch out for my post!). They are offering 35% off their site for the entire month of February. That’s a steal, guys! Her slogan is “Sewing Patterns For The Confident Beginner” and I couldn’t put it better. If you find some of these sites useful, can you do me a favor and pin the image below? I know I’ve enjoyed working with all of these companies so far. Please share if you have any experience with them and what your favorite products are in the comments below! My last blog post... for a while.